I suppose you could try your luck with the Motorola Xoom which purports to have the ability to run Flash, but it just doesn't currently have the App support found at Apple and the iPad 2 has specs that are on par with the Xoom. 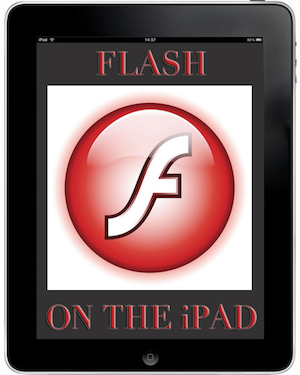 In my inbox today was an Apple feed linking to this article about the iPad 2 and as I read through it, there was a link on the 3rd page of the article to another article here about an app called iSWiFTER which runs flash. January is the worst month for home prices in Atlanta and 2011 is no different - although not as bad as I thought. We now have all of the January data compiled and we do have a new bottom for home values in Metro Atlanta that takes us back to levels not seen since 1998. ...and it's not as bad as it could be - or could have been for that matter especially with the weather we had early on in the month. Single family home (detached) prices are down 3.1% from 2010, but not lower than they were in January of 2009 and attached homes were down 18.4% from 2010. So I think it is more accurate to say that we have a mixed bottom. Technically, the new bottom of the market is January 2011, but I think that labeling the market as the worst it has been is only important for the doomsayers. Since the condo market is dragging us deeper in this hole while single family remains basically flat for 2 straight years (and now beginning a third year), I think it's important to make the distinction. The majority of sales (over 80%) are single family and that bottom was January of 2009. What we have is a technical new bottom and a bifurcation of the market trends as it relates to single family homes vs. condos. Foreclosures played a large role in the decline in condo values as the median foreclosure price was $85,000. Until we shake out the remaining foreclosure numbers, we are going to have more trouble.